For used, low-hour heavy equipment for construction, mining and more, rely on May Heavy Equipment. 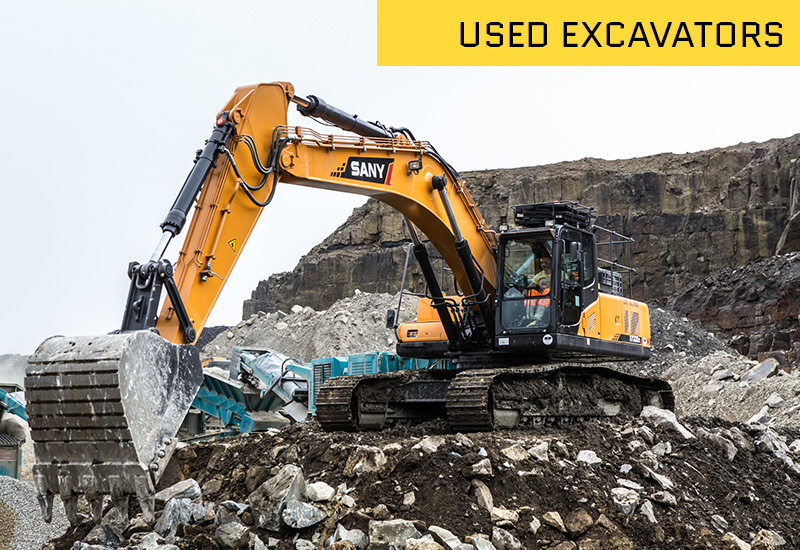 Take a look at our used dozers, motor graders and other heavy equipment from the industry’s leading brands and manufacturers, including Hyundai, Kawasaki, Bell, Sakai, Caterpillar, Komatsu, Volvo, John Deere, Magnum, Lay-Mor and more. No matter what used heavy equipment you’re looking for, you’re sure to find it at May Heavy Equipment, thanks to our vast inventory of more than 200 machines. 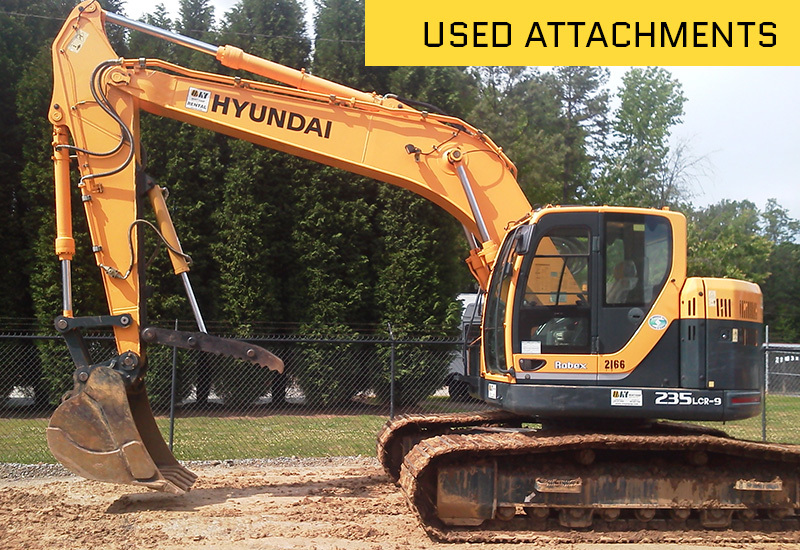 Used excavators from some of the leading manufacturers in the industry — Hyundai, Caterpillar, Komatsu, Volvo, John Deere and more. 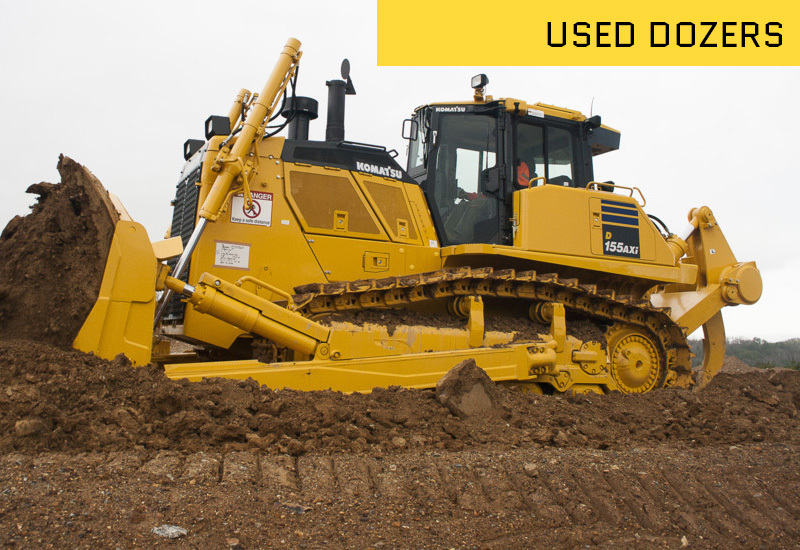 We offer used dozers from some of the leading manufacturers in the industry, including Caterpillar, Komatsu and John Deere. 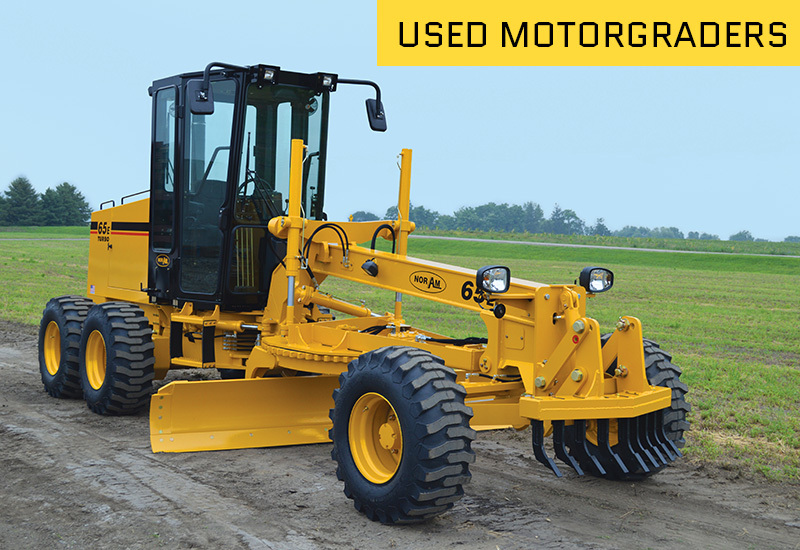 Our large inventory includes a variety of used motor graders, road graders, blades and maintainers. 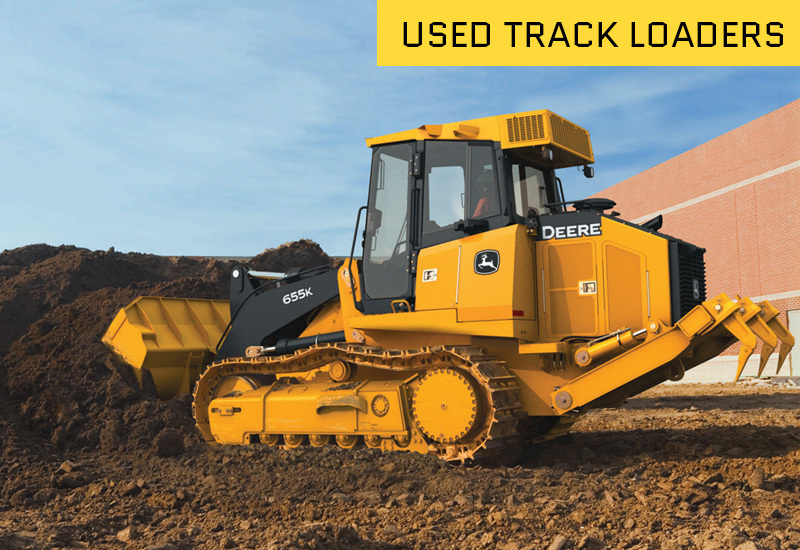 We carry a range of track loaders from the leading brands, including Caterpillar, John Deere and more. 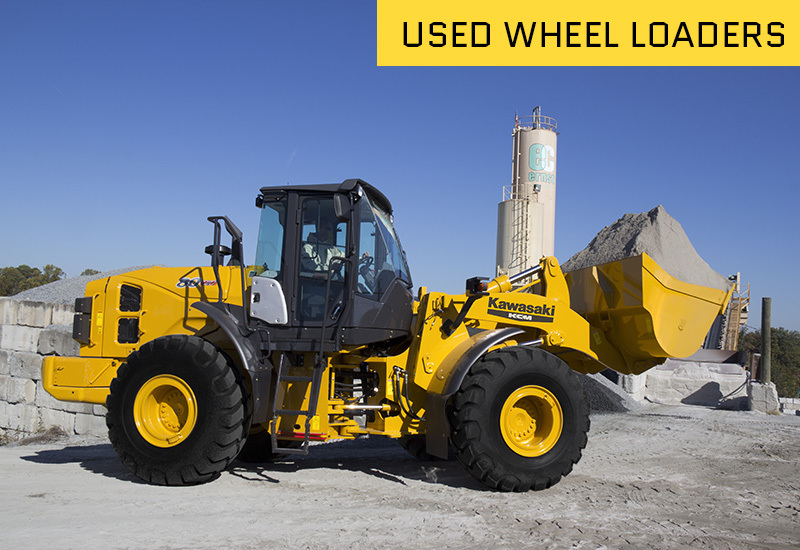 Used wheel loaders, bucket loaders and front end loaders from the leading brands, including Hyundai, Kawasaki, Caterpillar and more. 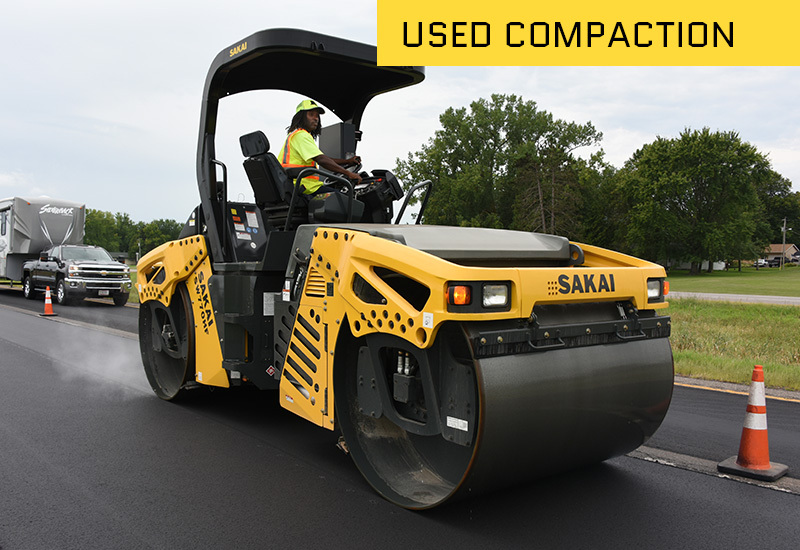 We offer used, low-hour asphalt rolling or soil rolling equipment by Sakai, Caterpillar and Ingersoll Rand. 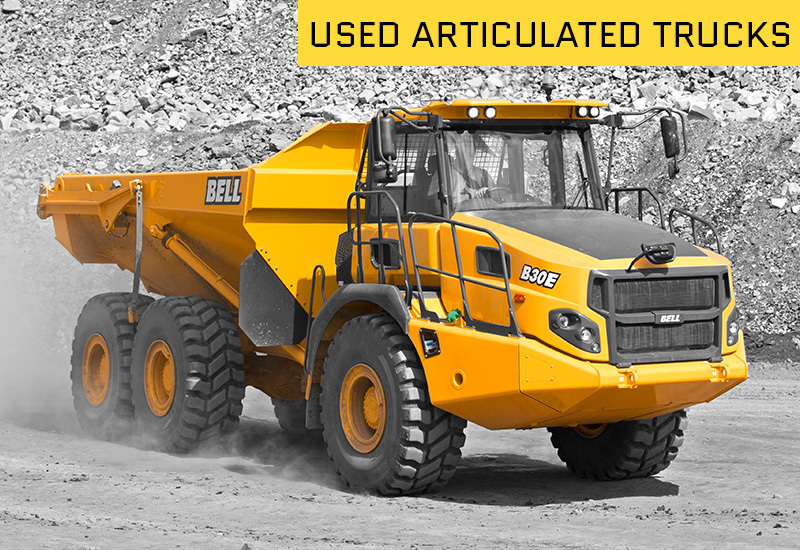 Used articulated trucks, rigid frame dump trucks, dumpers and haulers from Caterpillar, Volvo, Komatsu and more. Used breakers, grapplers, roller buckets, forks, root rakes and more, to make your excavator suitable for many applications.